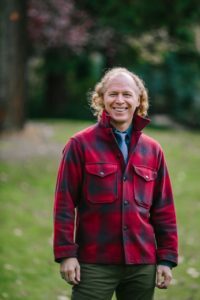 Thomas Doherty, PsyD is a psychologist in Portland, Oregon who specializes in nature-based counseling approaches and the psychological aspects environmental issues. He is active in research and education in wilderness therapy and brings over 20 years of experience providing therapy, education, and personal growth in settings ranging from primitive skills expeditions to inpatient hospital units. Thomas began his career working with adjudicated youth on the wagon trains of the Vision Quest program of Arizona. He later worked as a river guide in Grand Canyon and as an expedition leader, therapist, and supervisor at the Catherine Freer Wilderness Therapy Programs. In addition to his clinical psychology practice, Thomas trains counselors at the Lewis & Clark Graduate School, where he founded the Ecopsychology in Counseling Certificate program. Thomas is also Editor-in-Chief of the academic journal Ecopsychology and served on the American Psychological Association’s Task Force on the Interface between Psychology and Global Climate Change. The New York Times called Thomas Joseph Doherty “the most prominent American advocate of a growing discipline known as ‘ecopsychology.’ Thomas’s work has also been featured in the Oregonian; New Hampshire Public Radio; the Detroit Metro Times; Sustainability: The Journal of Record; Alternative and Complementary Therapies, the Monitor on Psychology. Thomas has provided talks and workshops for organizations such as the American Psychological Association, Psychologists for Social Responsibility, Natural Step USA, New Season’s Markets, the Port of Portland, the Bioneers, the Association of Oregon Recyclers, and the Oregon Counseling Association.